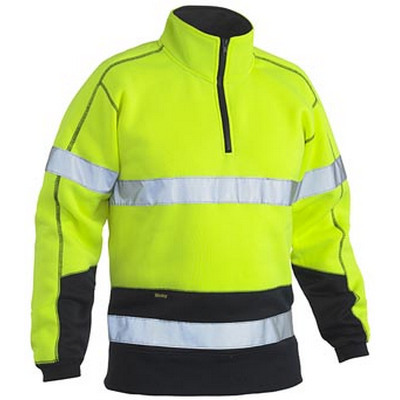 HI VIS TAPED FLEECE ZIP PULLOVER. Colours: YELLOW/NAVY (TT04). Fabrics: 100% POLYESTER FLEECE 300GSM. Sizes: XS - 6XL.